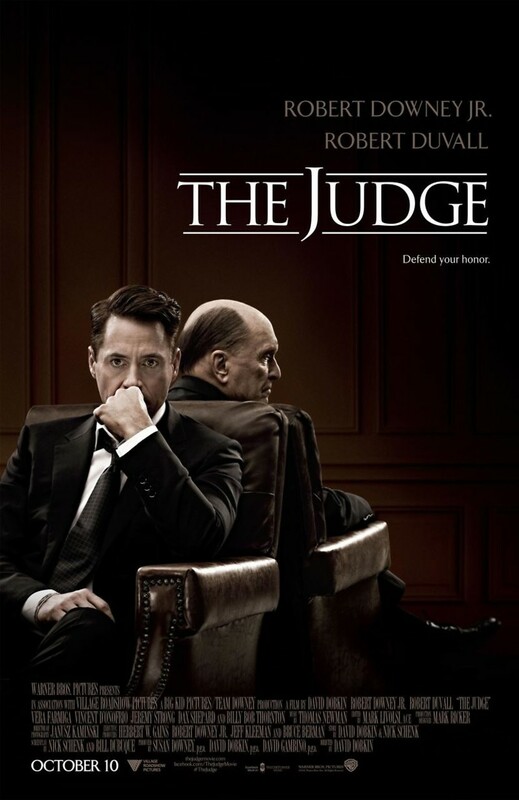 The Judge DVD and Blu-ray release date was set for January 27, 2015. Hank Palmer is a hot-shot defense attorney who works in the bustling metropolis of Chicago. He learns about the passing of his mother while in the middle of a hearing. His brother notified him by message. Because of this, he returns home to go to her funeral. His hometown is quaint Carlinville, Indiana. During his trip back, he finds out that his father, Judge Joseph Palmer, is a suspect in a murder. Hank has not been in contact with his father for a while. This compels Hank to figure out the answer to the whole mystery. As he works on this, he comes back into contact with family members he hasn't seen in years, notably brothers Glen and Dale. While he gets along well with his siblings, he has serious tension with his judge father.